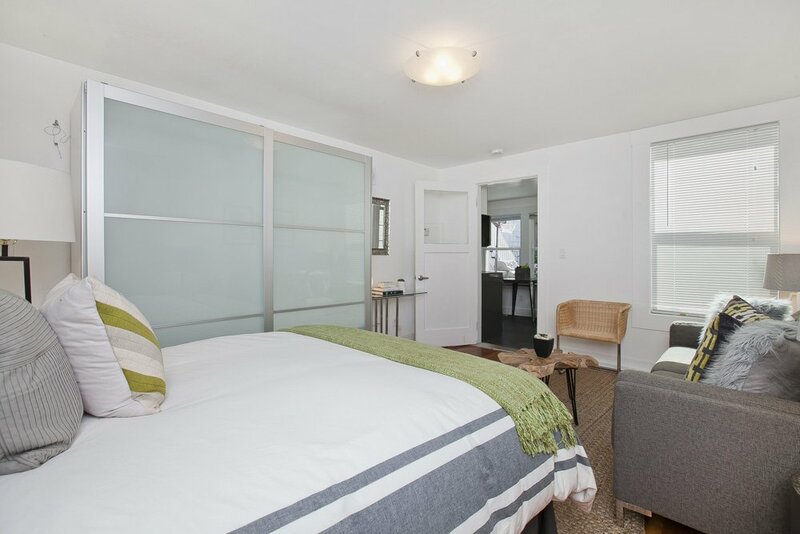 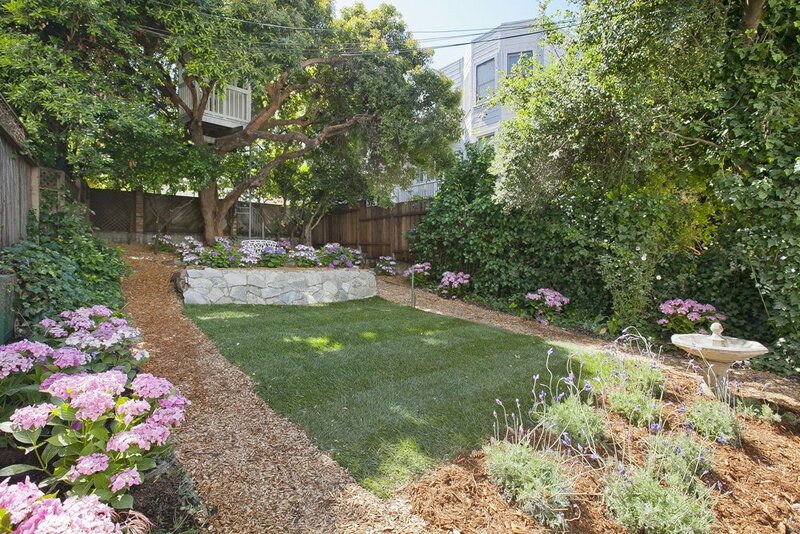 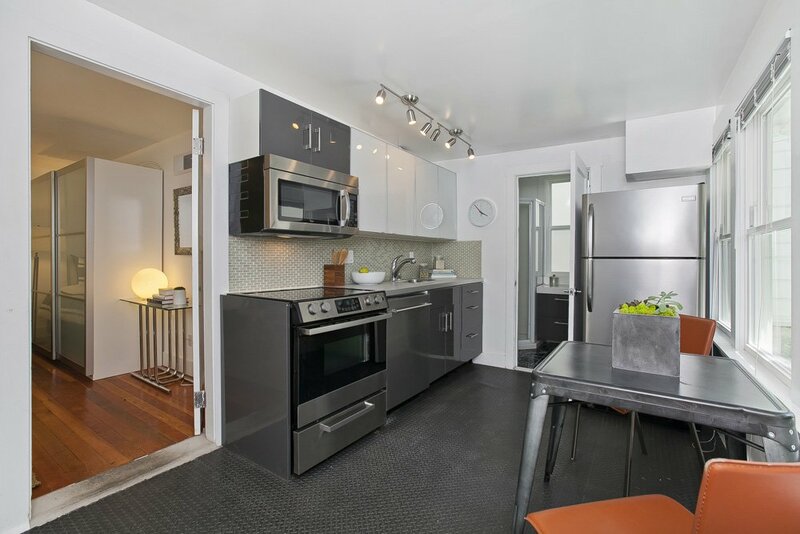 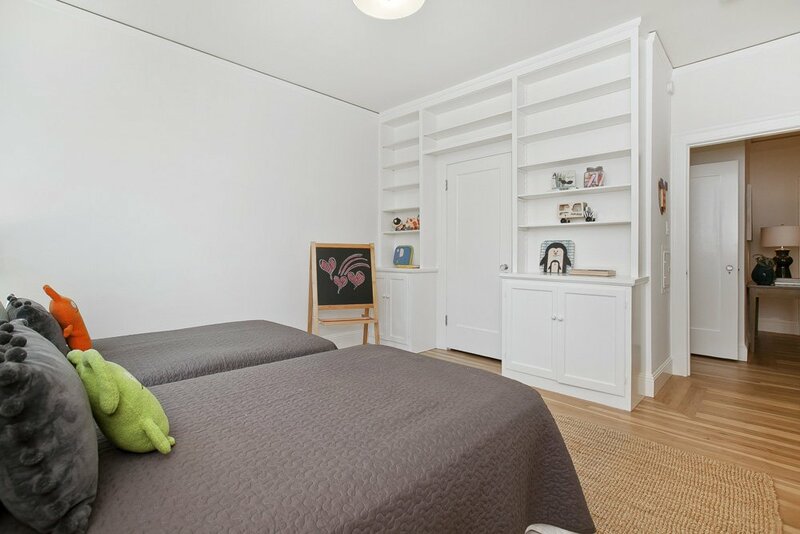 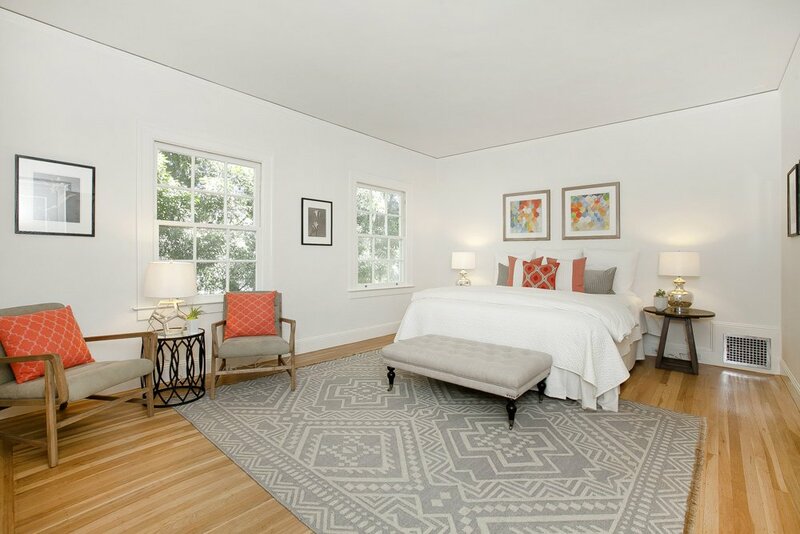 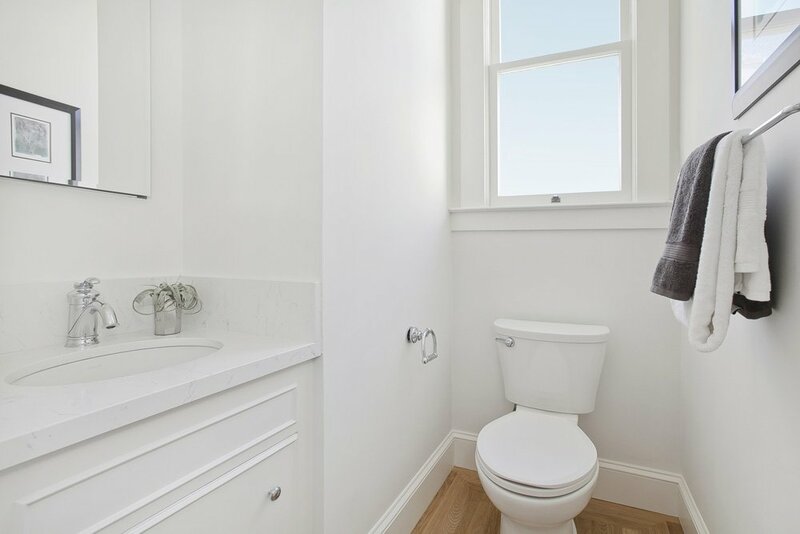 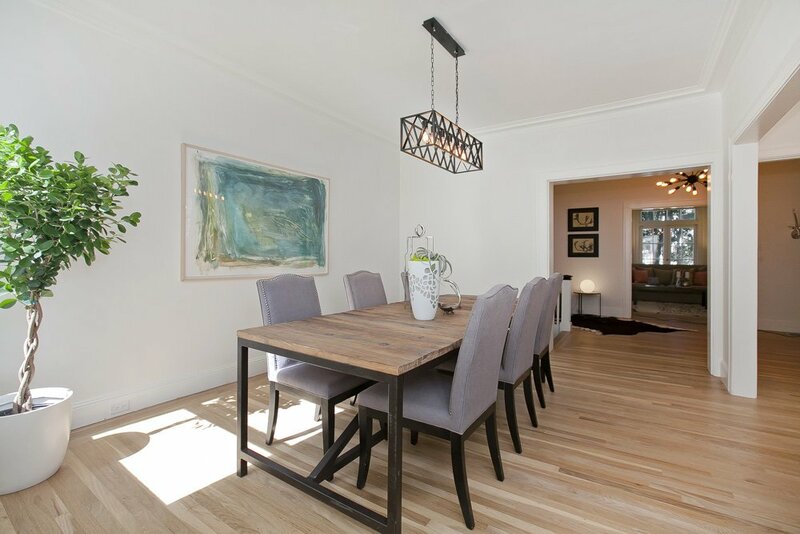 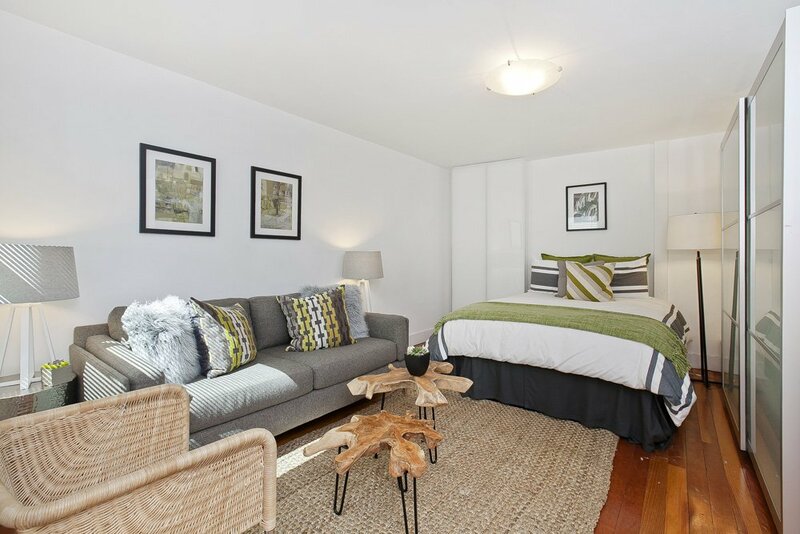 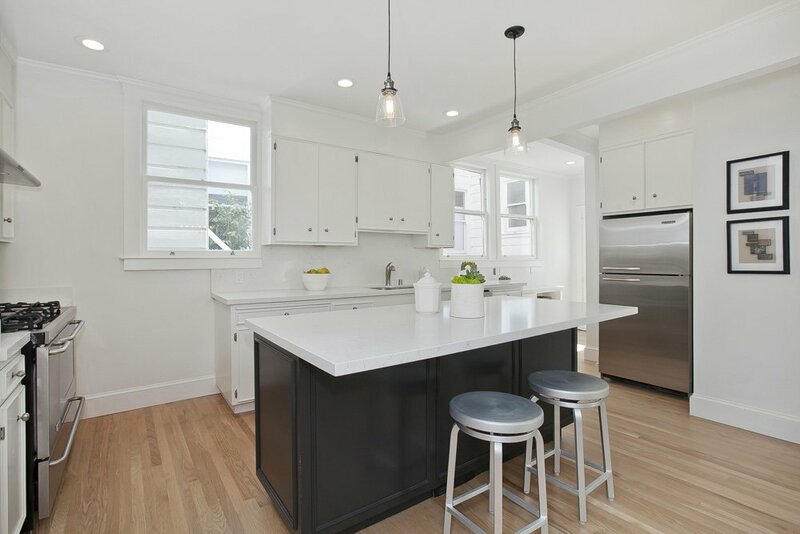 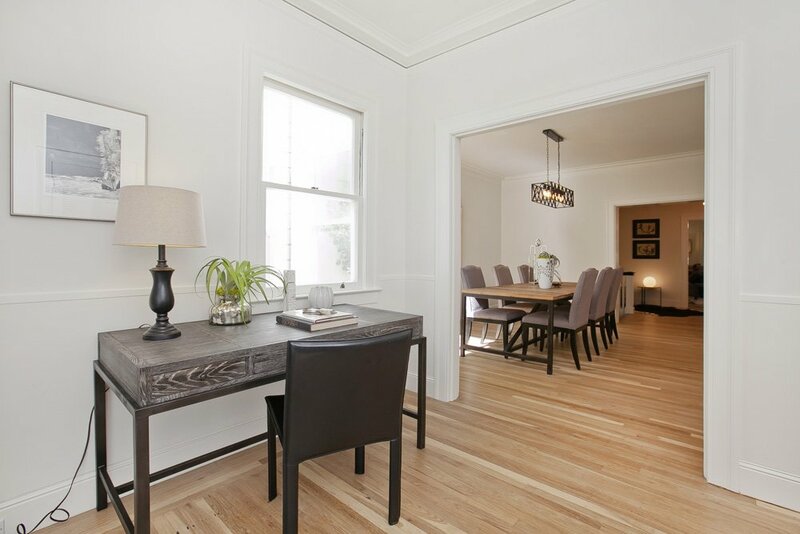 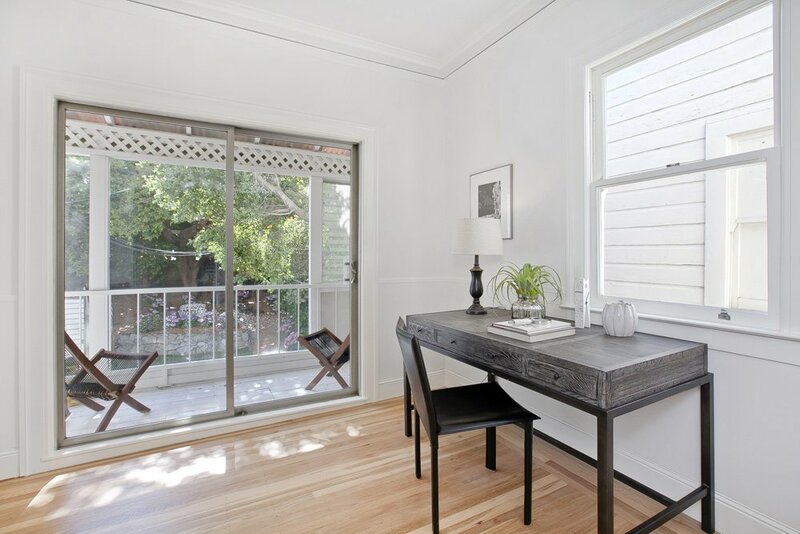 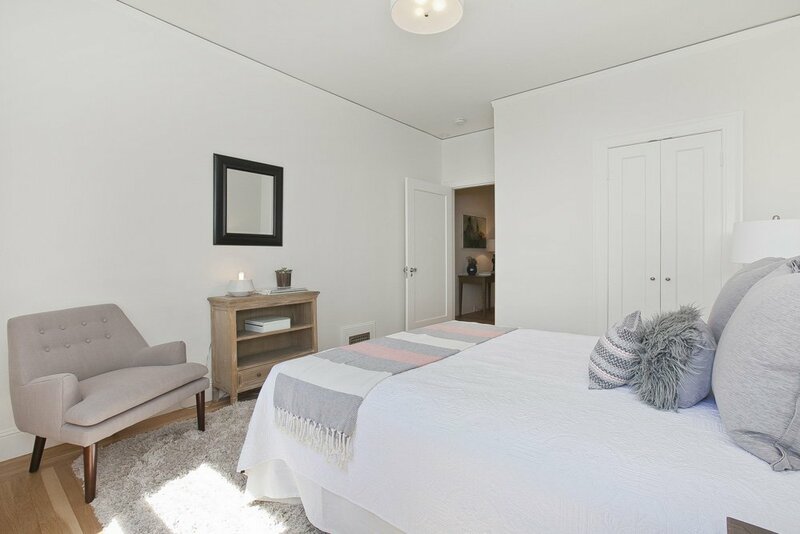 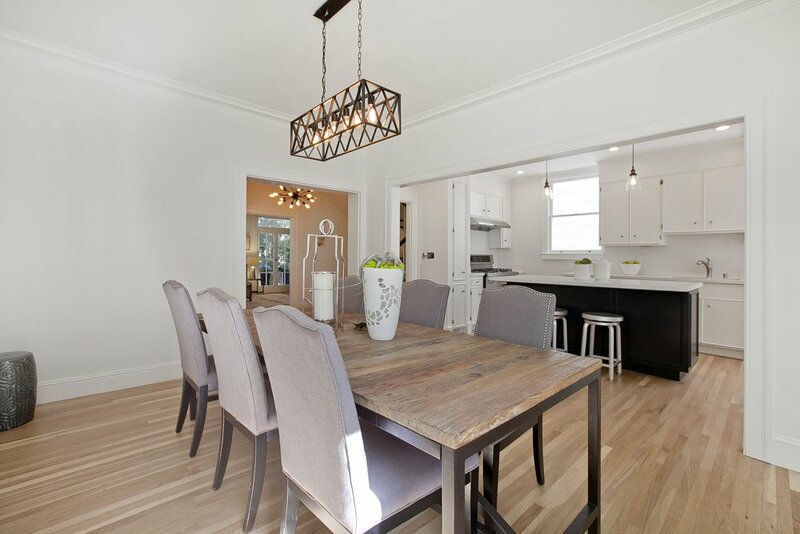 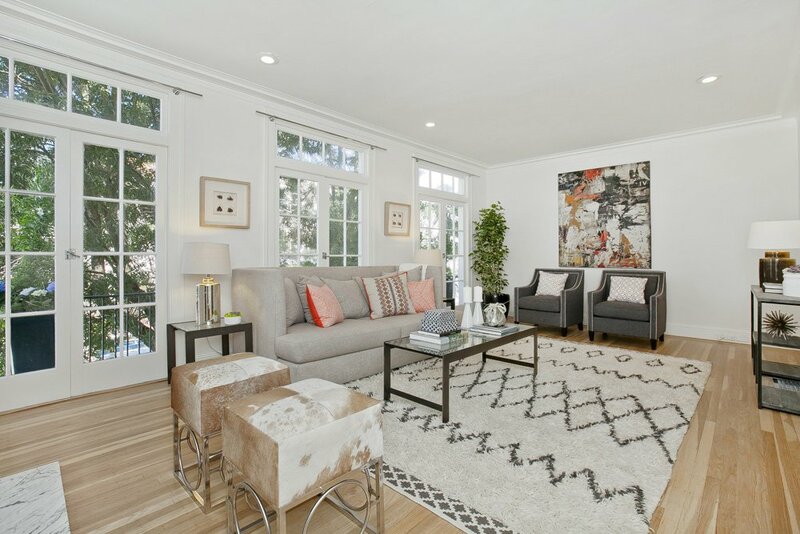 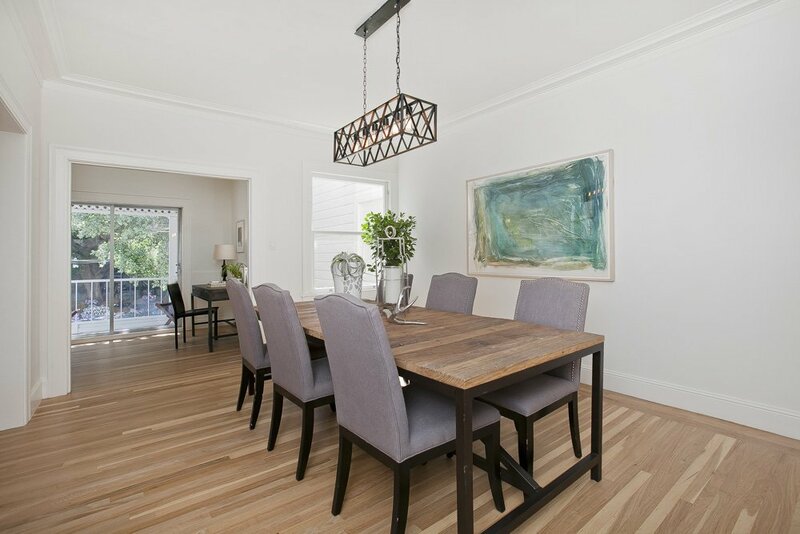 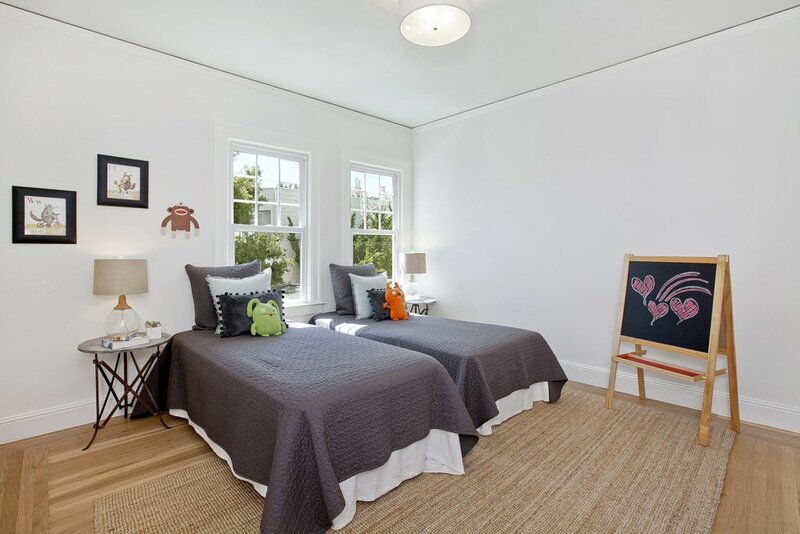 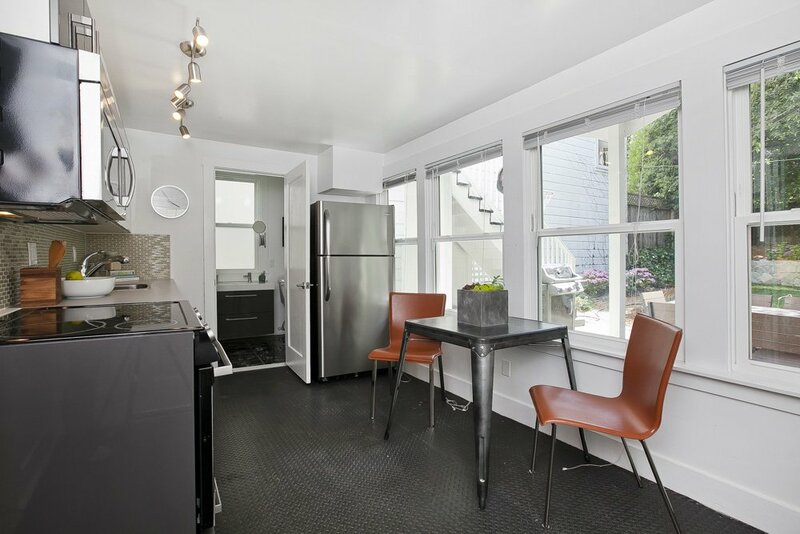 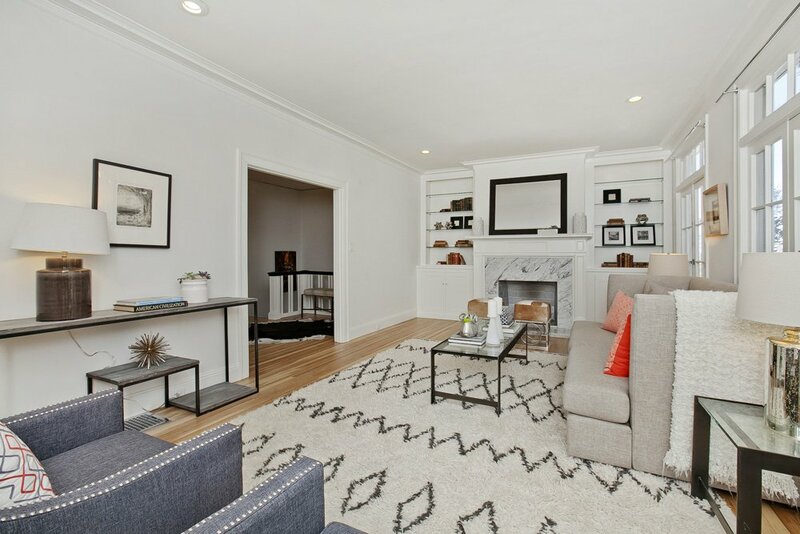 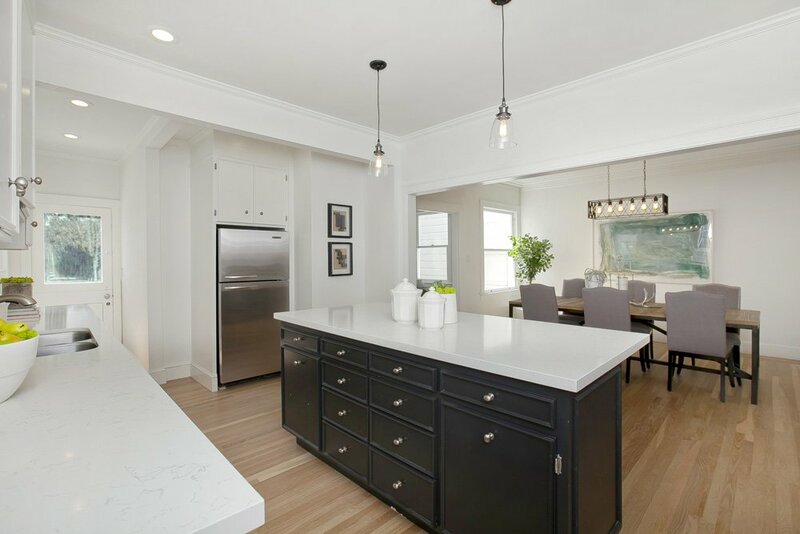 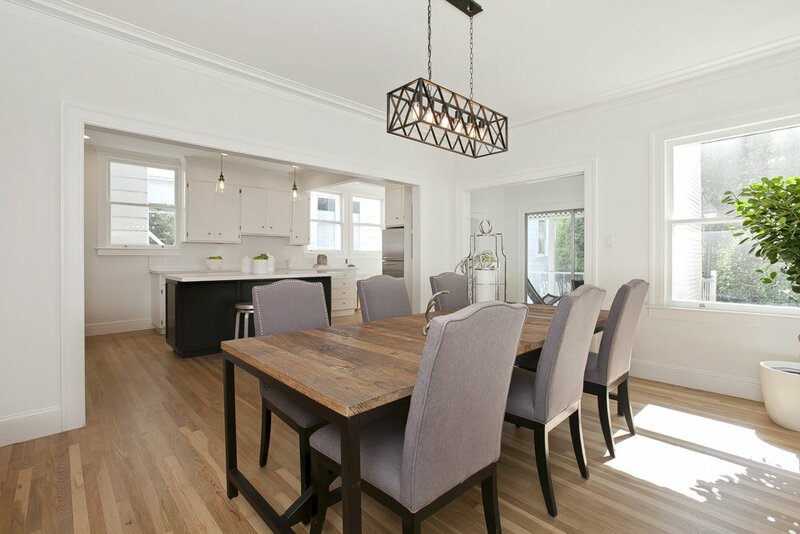 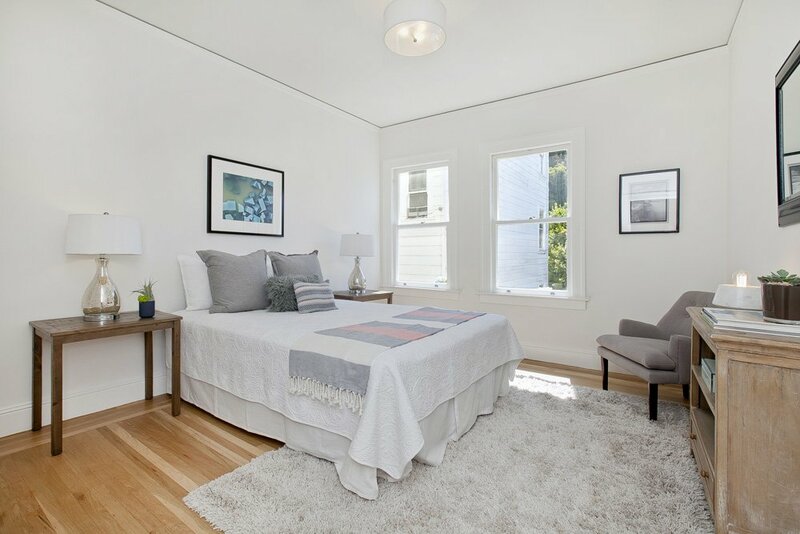 On a tree lined, quiet street in Cow Hollow, this elegant light-filled 3 bedroom – 2 bath home sits on a 27-foot wide lot boasting a family friendly layout with a sundrenched expansive back yard and garden studio for your guests, au-pair or an additional source of income. 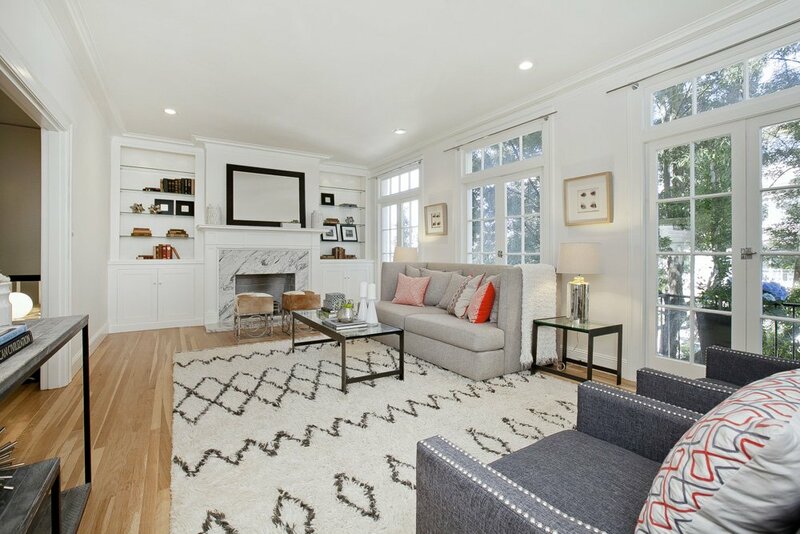 The main level is bright and open and flows beautifully between the spacious living room, a recently updated kitchen open to the dining room, powder room and a sunroom perfect for an office. 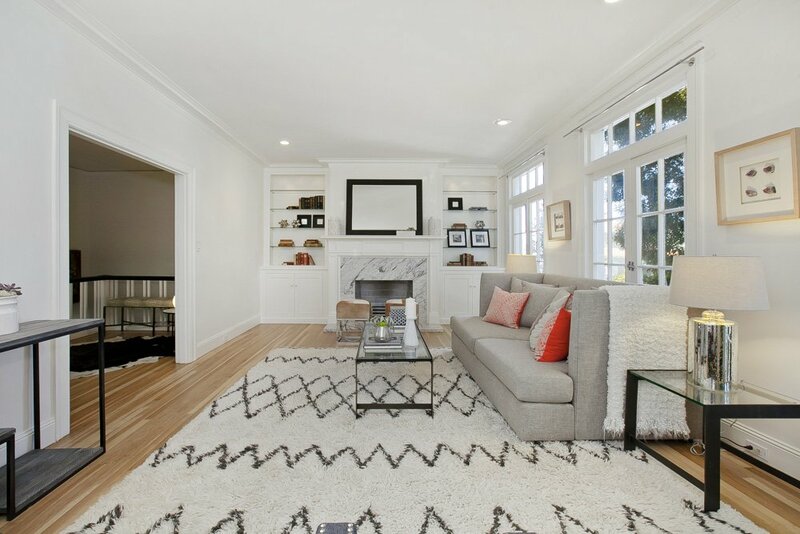 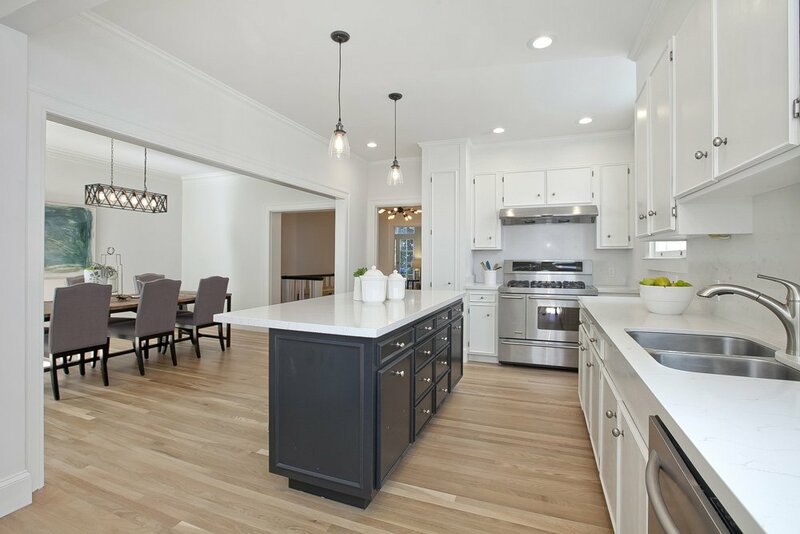 Gleaming hardwood floors, a gas fireplace and contemporary lighting give this level a sophisticated feel. 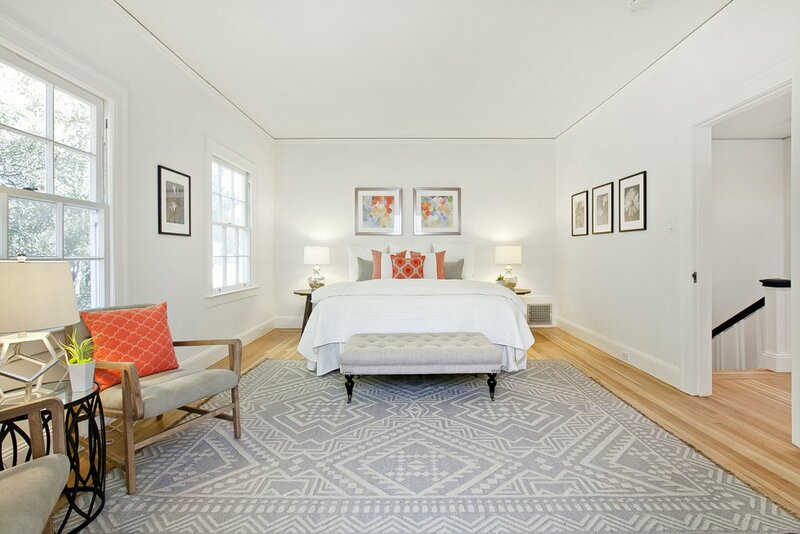 The upper level features a large master suite with a gleaming en-suite bath and superb closet space, along with 2 generous – sized bedrooms and an additional half – bath. 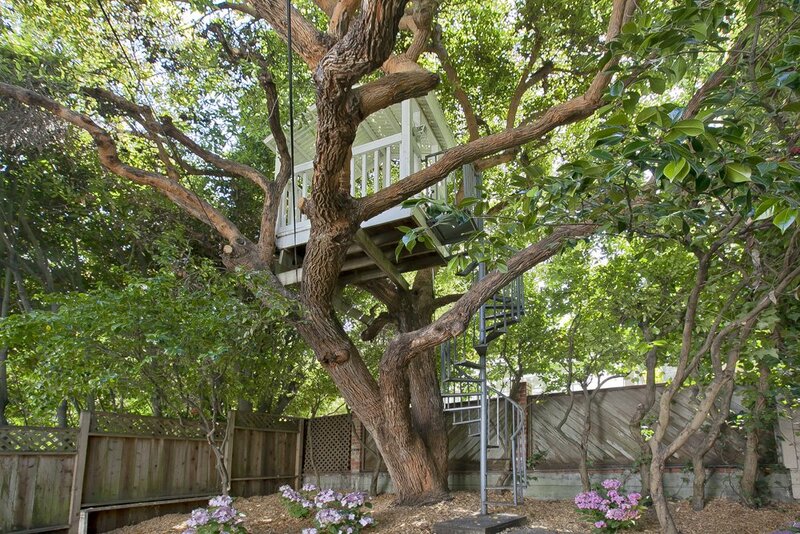 On the lower level is a garden studio overlooking a gorgeous landscaped yard with mature trees, a cozy treehouse, and a green lawn. 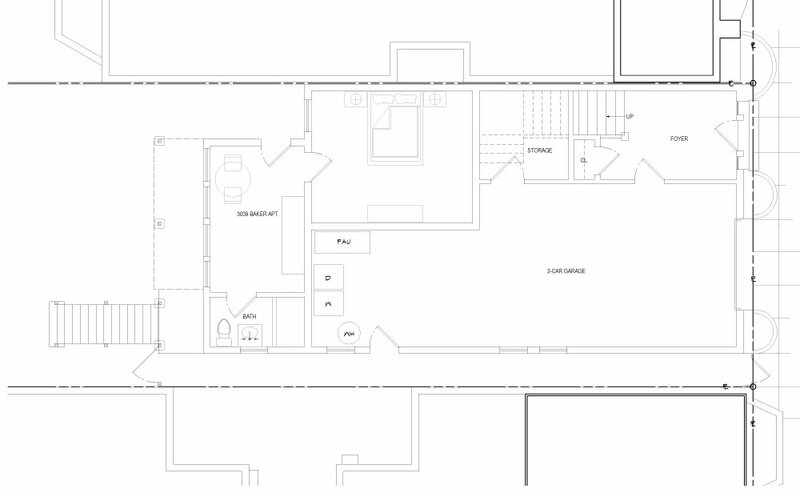 The studio was permitted in 2012 with a full bath, separate kitchen and a comfortable sleeping / living area. 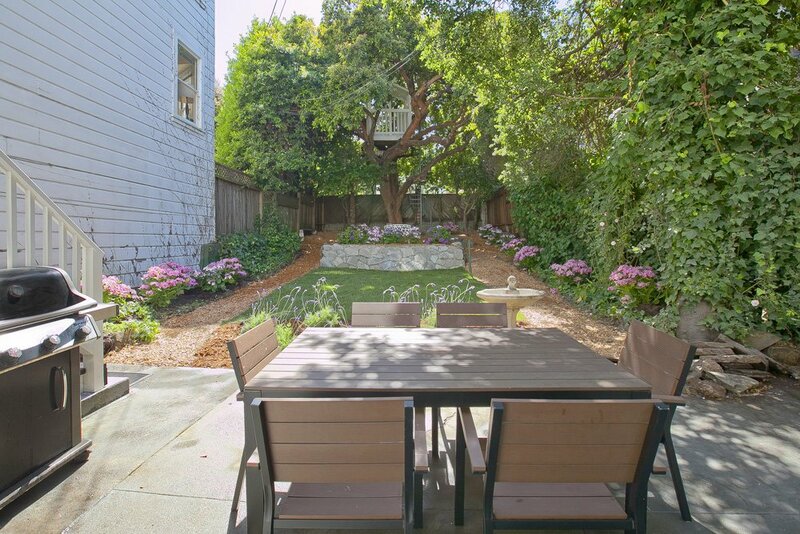 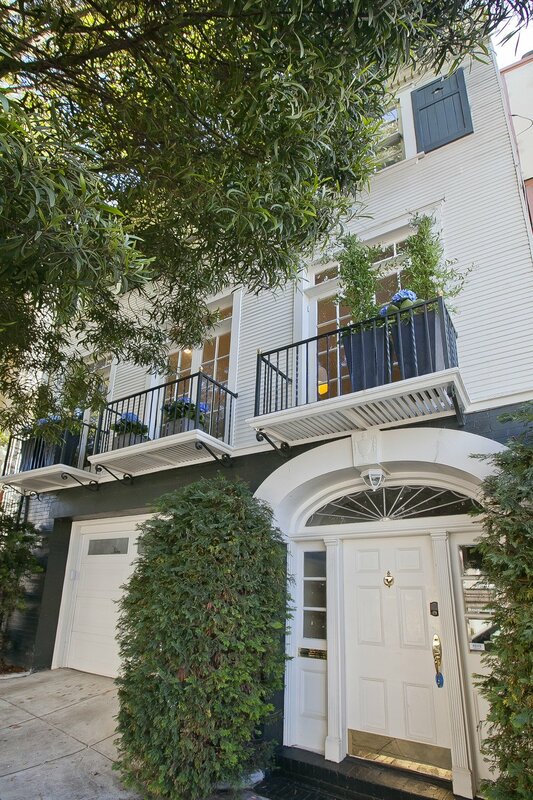 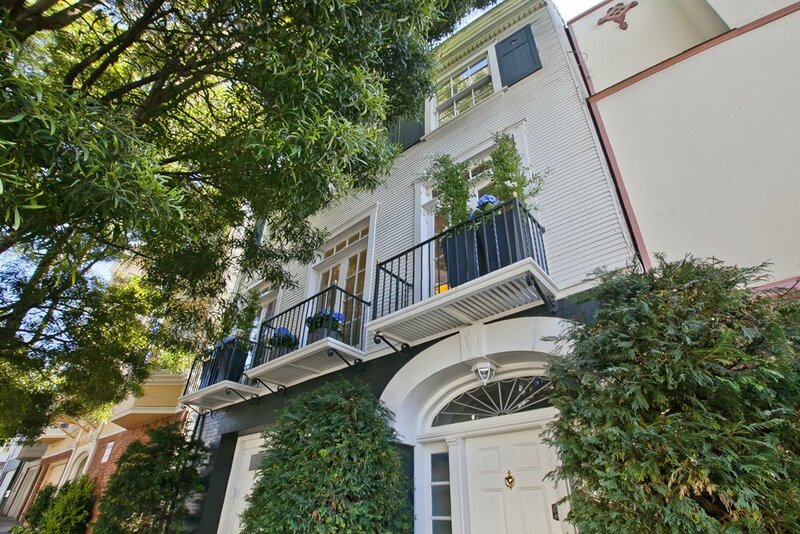 An enviable walk-score of 92 with the Presidio trails, Letterman Park, Chestnut/Union Street restaurants and shops, Cow Hollow Playground, Lyon Street Steps, Chrissy Field, and the Palace of Fine Arts all within blocks round out the desirability of this property. 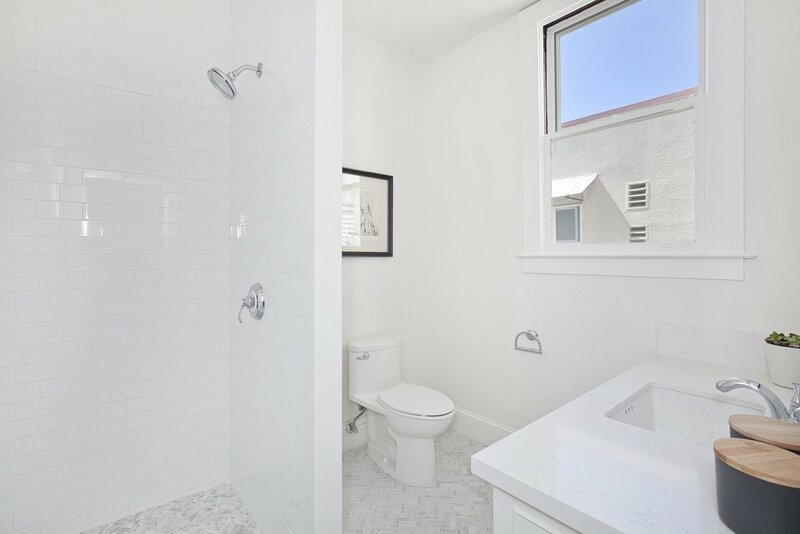 Live in it as-is or take advantage of the expansion potential to nearly double the livable square footage to turn it into a four story, 4-5 Bedroom, 4 ½ Bath home plus studio. 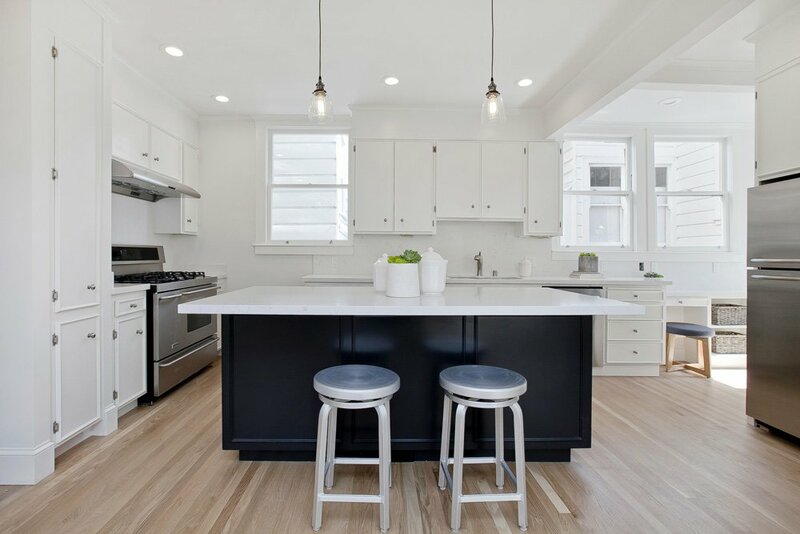 The site permit is approved by the SF Planning Department, including having completed the 311 neighborhood review and notification process. 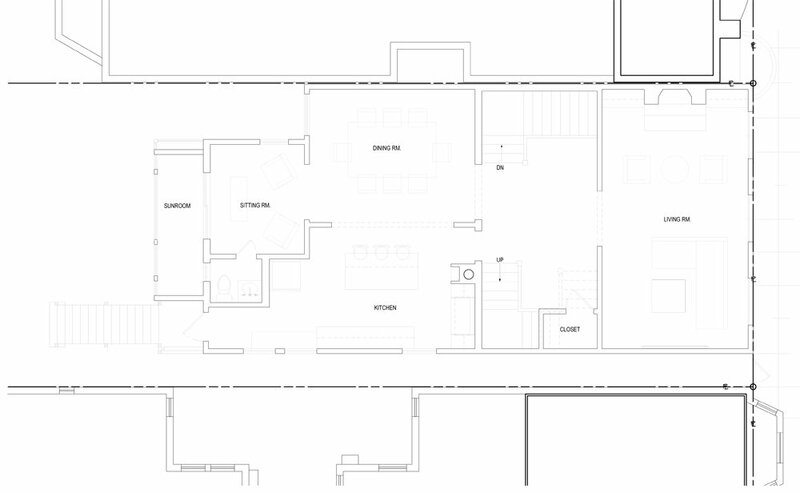 Pending completion of the Building Department review, the site permit will be transferable to the new owner. 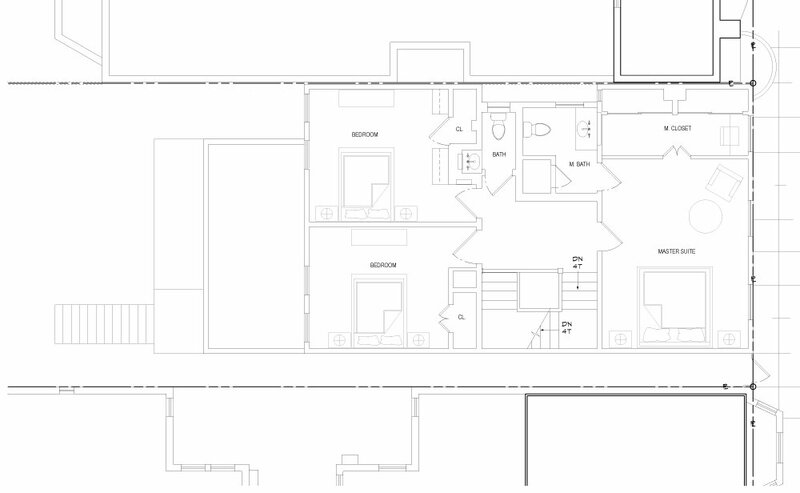 Plans are available for review.